In the years I’ve been writing about beer the biggest question I still get asked is quite simply “What do I order?”. 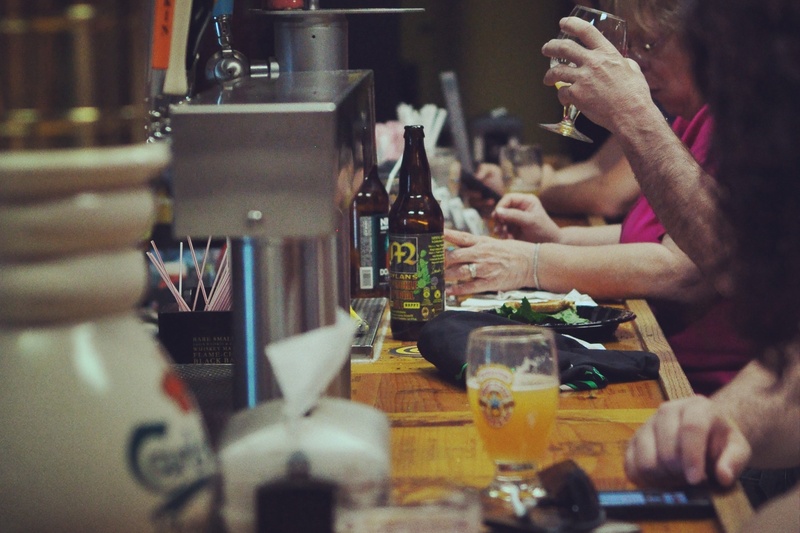 As amazing as it is that beer selection is growing in places, for the beginner in to that world (Hell, at times even to a seasoned veteran of the scene), the Beer Menu can be a source of indecision and even intimidation. So here are a couple of tips that, in my experience, help me in figuring out just what the hell I want when I go to a good bar. KEEP IN MIND: This is in no way a definitive list of rules that will have you going down a specific path of tastes. I’m trying my best to steer away from beer suggestions because, like in all things from food to comic tastes, you need to work out which beers you enjoy and take note of what you’re in the mood for. The following will definitely help you figure things out though, and are designed to be the first steps in to what will be your own process in figuring it out. Before we get in to the fun bit about ordering a drink, something should be said about the unspoken code of conduct. There are a number of dos and don’ts but they all go under the one unifying rule of “don’t be a jerk”. Don’t be too rowdy, be polite to your server, and be respectful of the other patrons of the establishment. You’re in a building being run by people who are earning a wage and filled with other people trying to relax. Don’t be a jerk. Remember that and you’ll be fine. Plus it’s always great being a favourite customer. Depending on the place you’ve picked, you’ll be faced with the same problem that many people before you over the course of centuries has faced; what to order. Sometimes the beer menu of a place can be so large and intimidating you wouldn’t know where to start and the chance of ordering something you weren’t really looking for is there. 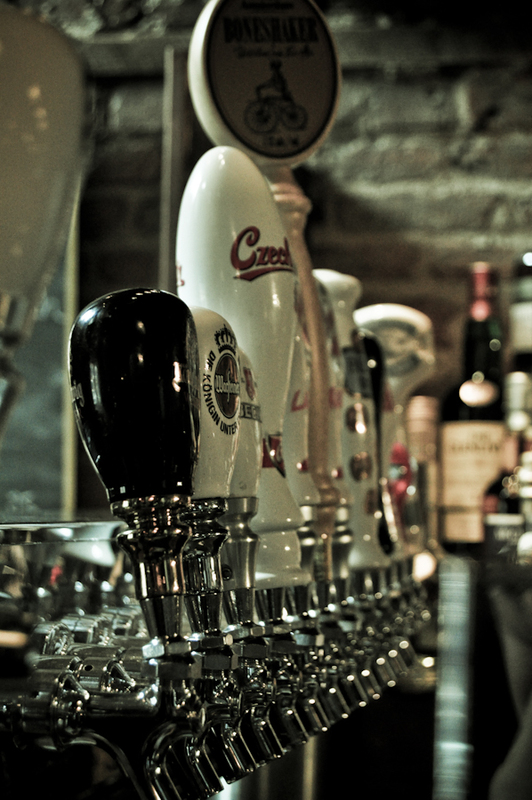 Ordering the right beer for you is very much like taking a multiple choice quiz. Eliminate as many of the options as you can to narrow it down to something that is probably the right one (for you). The first thing to do is ask what exactly you feel like. As your starting on figuring things out in terms of flavours, it can be as simple as “crisp and light” and “dark and malty”, then as you get more in to things you’ll be able to figure out the specific cravings, such as hoppy beer, sour beers, something aged in bourbon barrels, etc. If there is anything on the menu that looks like it may match with what you’re after, give it a try. Other things to keep in mind are price range, ABV and how long you’re planning on being out. If you’d like a nice evening out without getting blasted and you’re on a limited budget, the $40 bottle of 15% abv beer might not be for you. While that’s always the first move, the following are other routes you can go in making a decision. Chances are good, especially if you’re at a craft beer place, that your server will know a good deal about the selection. Tell them what kind of tastes you’re in the mood for and they will do their absolute best to find a beer for you. If the beer they pick is on tap, they will give you a small sample to try it out. If you’ve narrowed the menu down to two choices, ask your server for a sample and they will send over a shot glass full of the beer to help you decide. While these are free, there is an unspoken etiquette that demands you not go past two samples. By that point you’re wasting everyone’s time and you should get to ordering. This is one of my favourite options when faced with an overwhelming beer menu. Some places offer the option to order a flight of beers. Usually a flight is about 4-5 5oz glasses filled with whatever beers they have on the menu. Flights are an amazing way to get to try a wide range of beers without spending too much money and, in the case of indecision, will help you find a beer that may well be your favourite of the night. If the place you’re in offers flights, I strongly suggest getting a few. Another fun thing about going to places that have a wide range of beers available is to experiment. This is a fun thing to do both alone or with a group of friends (the latter however is better to sample if cost is an issue). The key to this is to pick whatever sounds interesting to you! A porter made with coconut? An IPA with Watermelon? Why not? Give it a try! As expected, your experience for this will be very hit and miss, but you at least have tried several beers that are new to you and can log away which ones do and don’t work for you. Additionally, if you’re out with a group of friends and there’s an expensive bottle you all want to try? Order it, and split the beer and the costs. And there you go. No doubt there are other folks who have their own tips (feel free to comment), but for some outright basics, I tend to go with those. The important thing to remember as well is to have fun and don’t stress out too much about it. If you can’t nail down a specific beer, just go with the flight. Either way, the ordering process should be quick, painless, and getting you going on enjoying the rest of your night. Great tips here! I’ve wanted to try a local place known for a huge selection of beers – I’ll check and see if they do flights. It’d be a perfect way to try out their stuff! Great tips! I wish there were more places offering flights here in the UK. Only once have I ever been in a pub where 1/3 pints were available. Perfect for sampling the wide selection of their own brews. I’m all for trying everything on the menu when faced with a list of brews I’ve not tried before. Starting with the lightest and working my way through to the porters and stouts has always worked out well. Only time this wouldn’t have worked was in Savannah, GA – though I only had the one pint of local IPA, I can only describe it as a “Hop, skip and punch-in-face!”, even hoppier than the British IPAs I’m used to. I’ll be asking first in future. Yeah, always asking for a sample or a significantly smaller portion when available has really helped me decide what I like and what I don’t like. My wife and I just moved to Edmonton here in Alberta and we really love it. 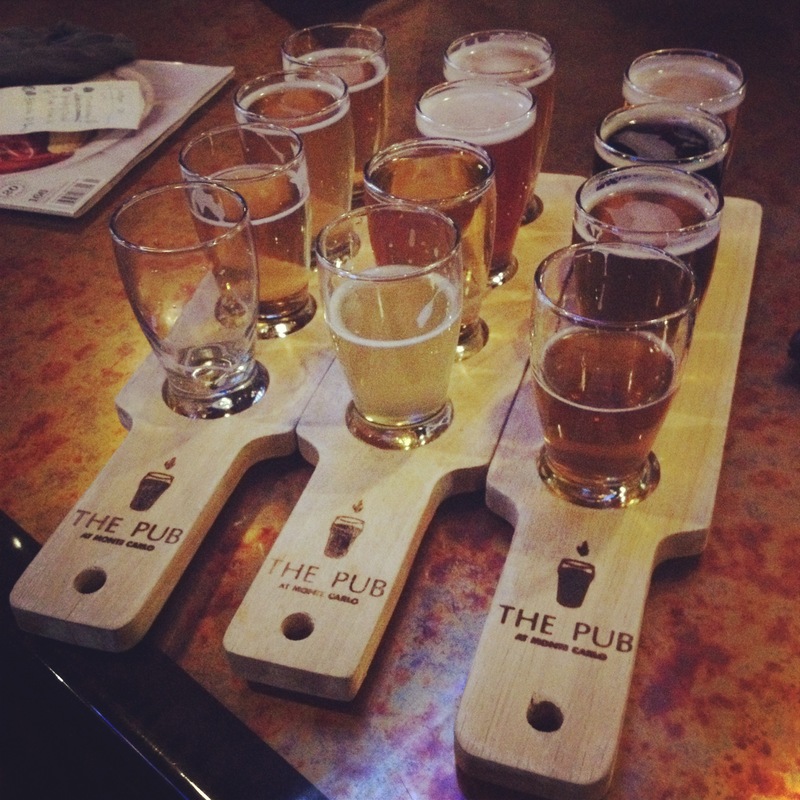 We have heard about so many awesome pubs and I can’t wait to check them out. I always struggle when it comes to figuring out what to order. I try and mix things up once in a while but I think asking the bartender what they like is always a good way to go. Thanks for the tips! Finding a good bar that has good drinks does seem like a difficult thing to do. After all, when you go out drinking you want to have a good time. I liked your suggestion about ordering a flight of beers. That does seem like it would help you see all the options that they have. I like your suggestion to try a flight of beers so we can try 4 or 5 kinds of beer without spending too much money. My husband and I will be travelling next month and really like the idea of finding some local breweries to visit. I’m glad I read your article because I hadn’t heard of beer flights before, but they sound like a great way to experience each brewery’s unique beers!